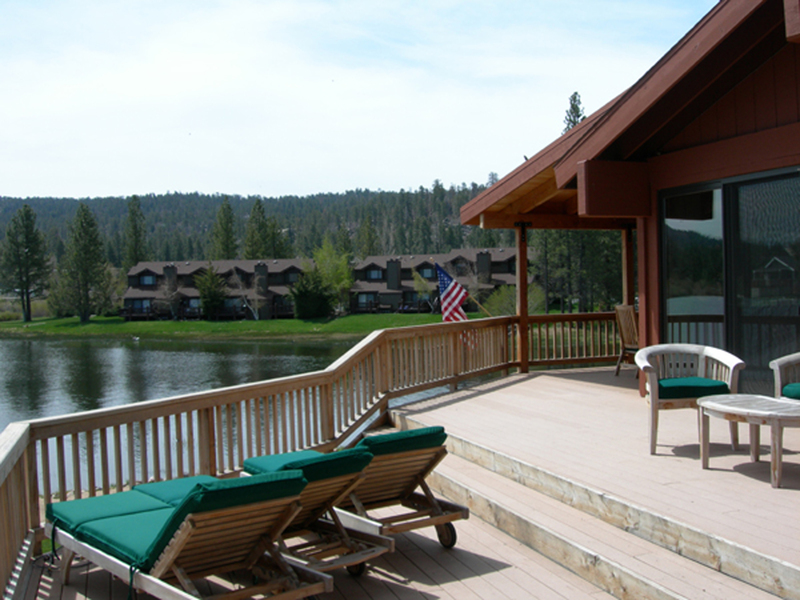 This fantastic Big Bear vacation paradise for fun is a large lakefront home (approx. 3000 sf) with four bedrooms and 3 full baths, sleeps 14, perfect for multiple families. It can accommodate up to 14 people in beds as further described below. Everything about the house and property is top-notch. 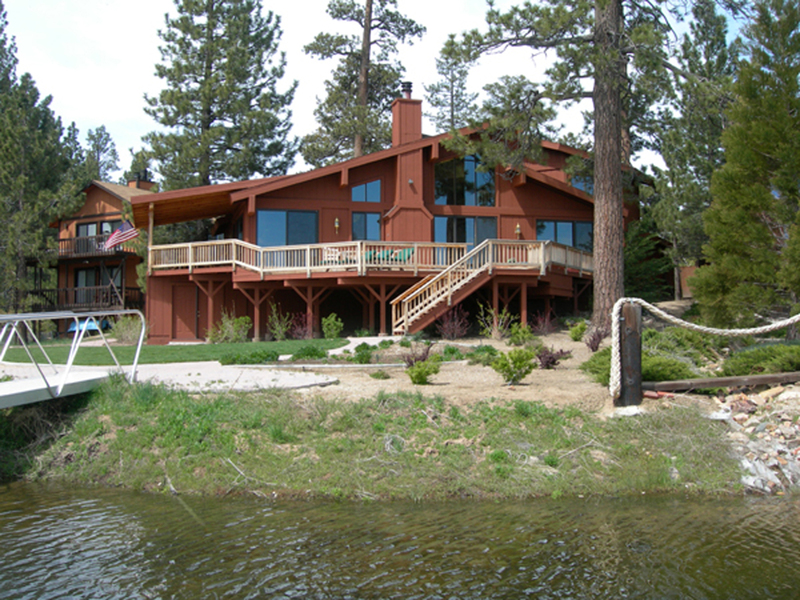 You would be hard-pressed to find a better property for a large group in Big Bear. 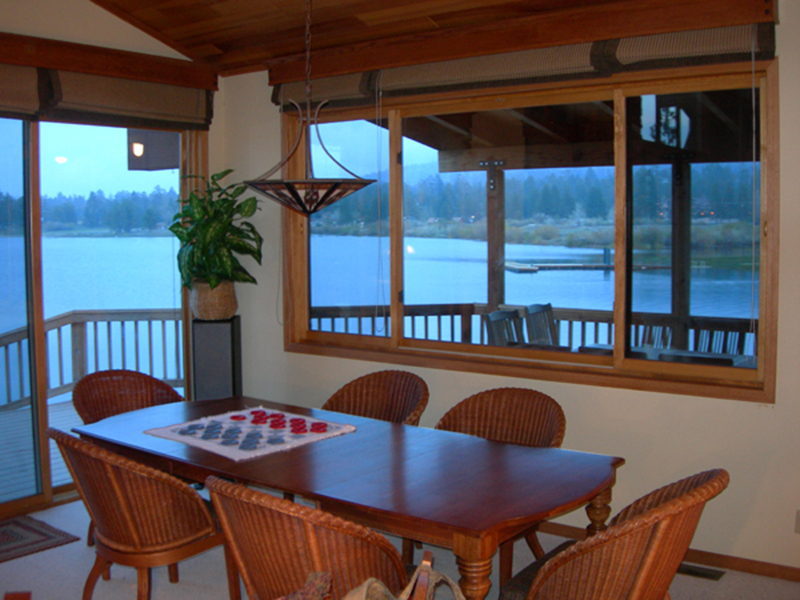 Enjoy the quiet setting with the spectacular lake view, and you will also appreciate being so close to the village. 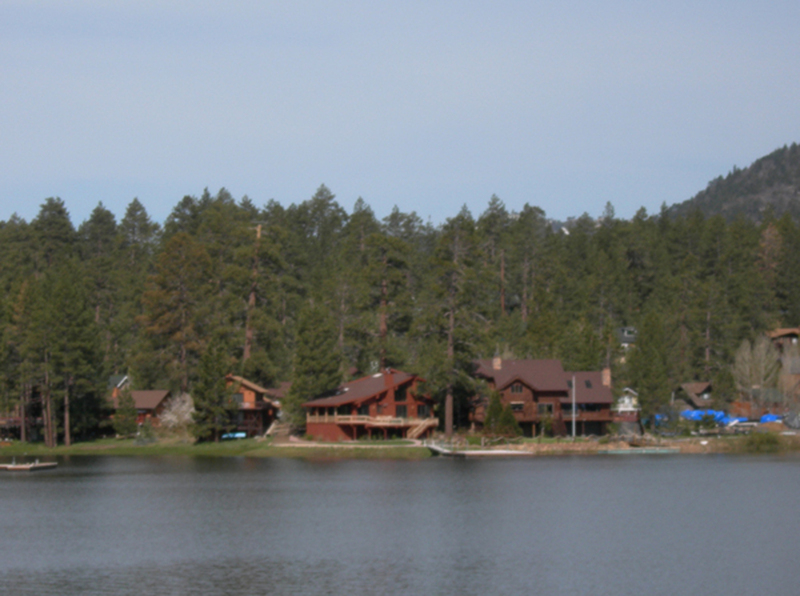 Our home is on the south side of the lake on Metcalf Bay about halfway from the dam to the village. 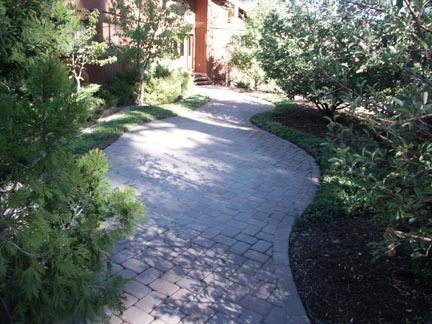 Our driveway is very flat making winter ingress and egress easier than with hillside homes. 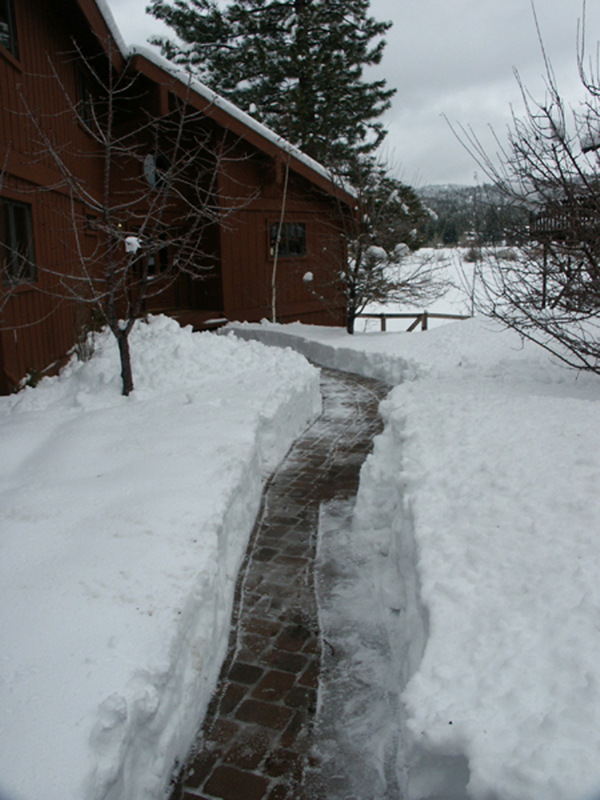 I also pay for a snowplowing service should is snow during your winter stay. 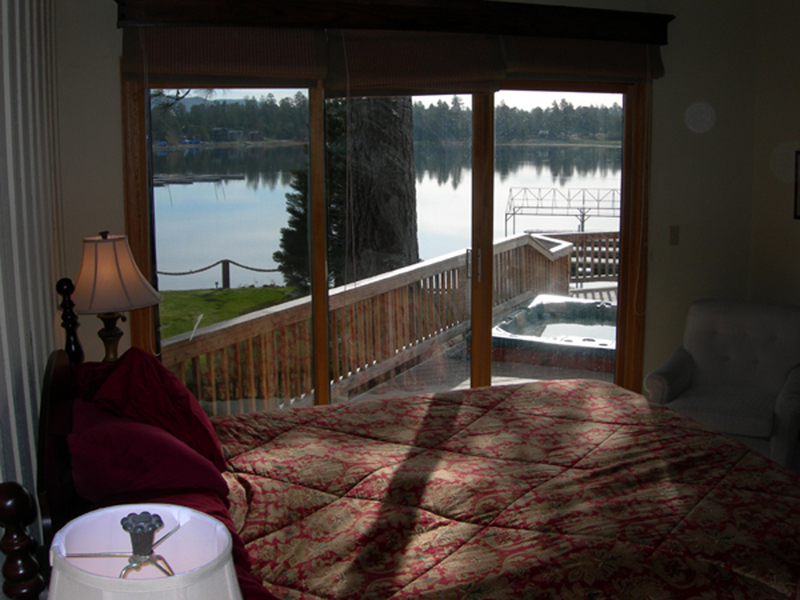 Master bedroom has California king bed, TV, VCR/DVD and lake view. 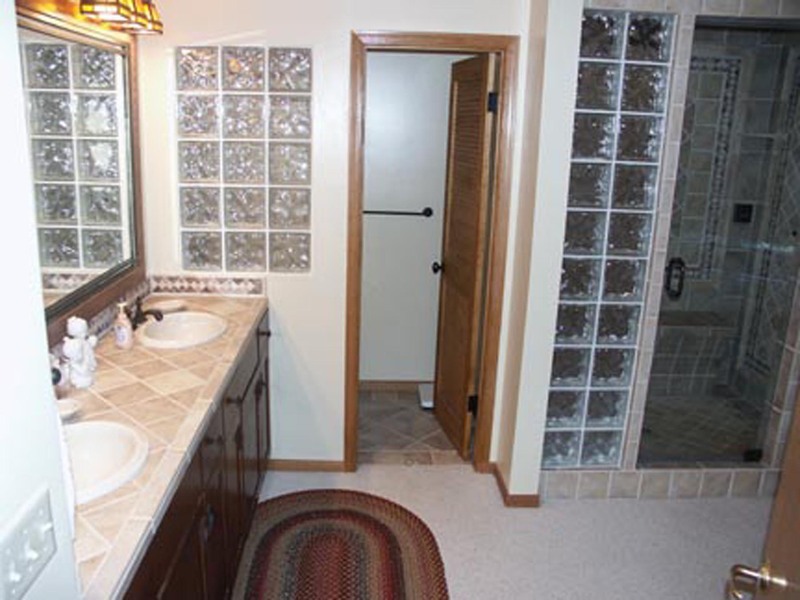 Adjoining large master bath has double sinks, double shower/steam bath and Jacuzzi tub. 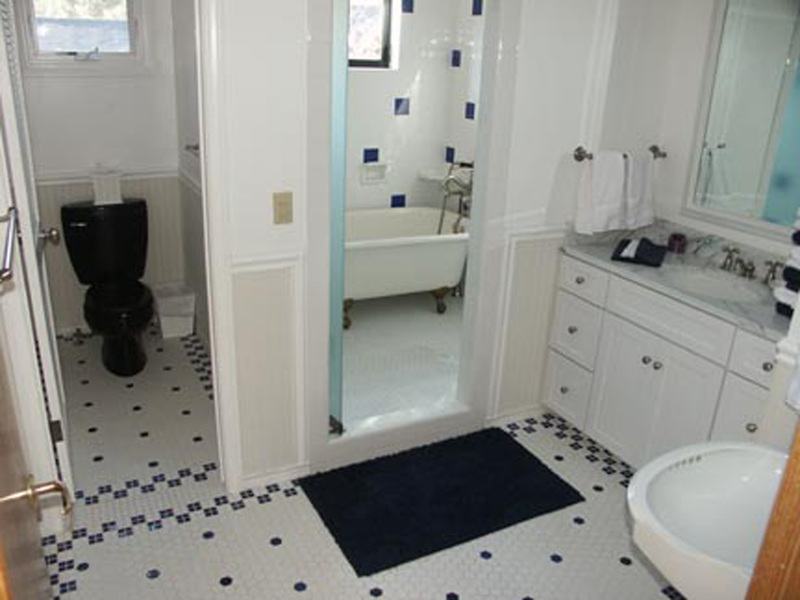 Second downstairs bedroom has queen and adjoining full bath with shower. Upstairs third bedroom has king bed and a sitting area. 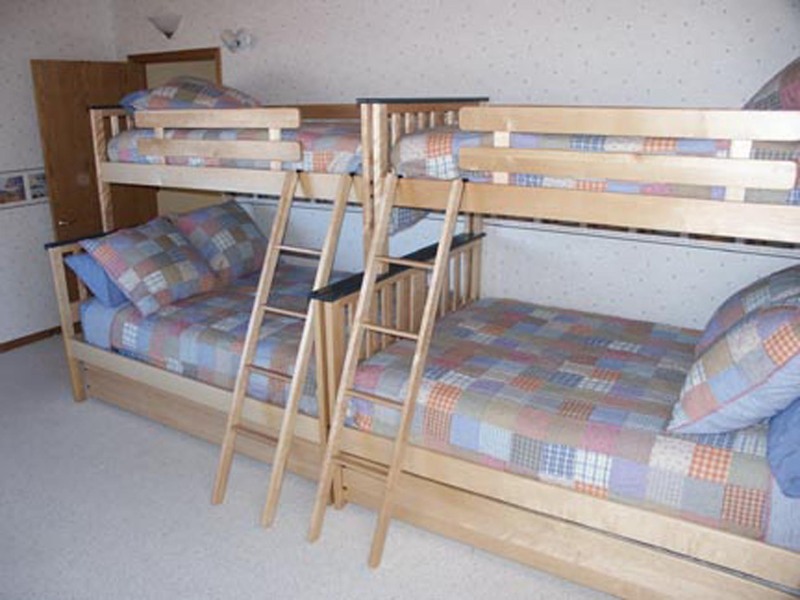 Upstairs fourth bedroom is a bunkroom that sleeps eight people in two twin-over-full bunk beds with pull-out twin trundle beds and has a view of the lake. The upstairs bedrooms share a bathroom that has two sinks, a shower and a claw-footed tub in a private tiled enclosure and a private toilet. 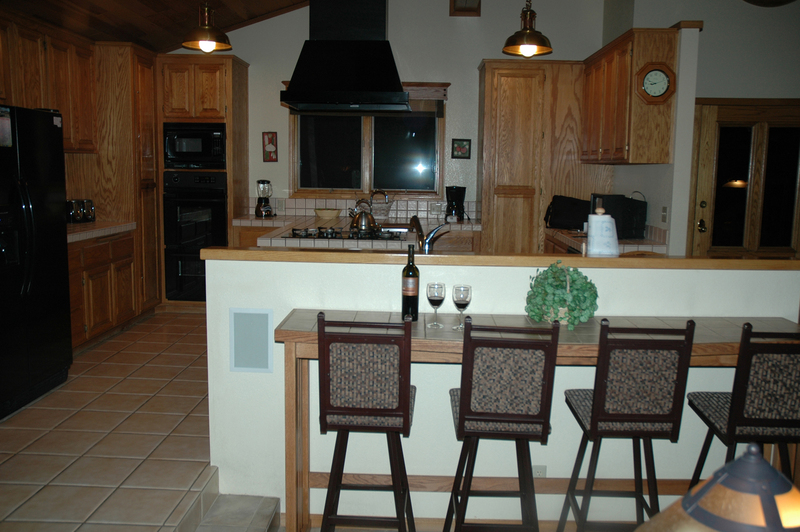 The kitchen is fully equipped with a microwave, oven, range, toaster, blender and dishwasher. All linens, towels and dishes/glasses are included. Laundry room. Double garage. Firewood. Near Pleasure Point Marina. 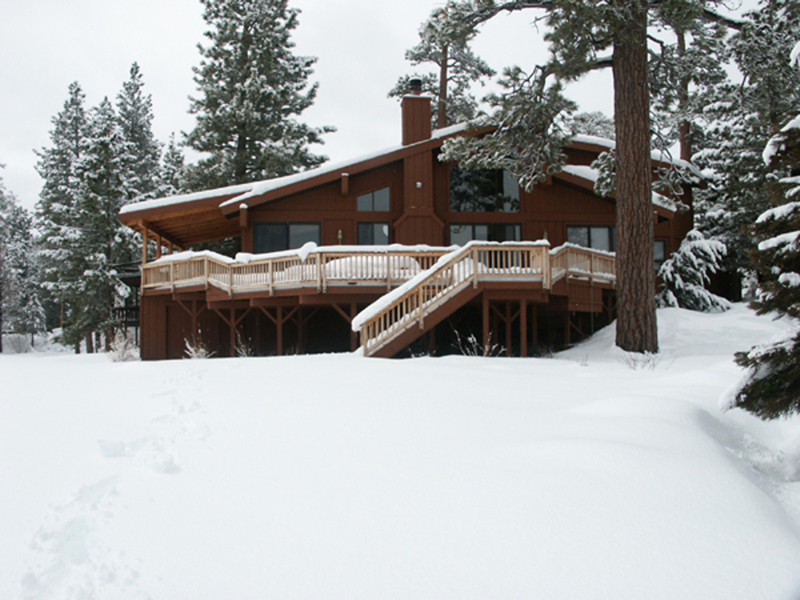 Prime-season Winter (Christmas through the first weekend in April) and Summer (Memorial Day through September) rent for our home is $700 per night with a two night minimum. 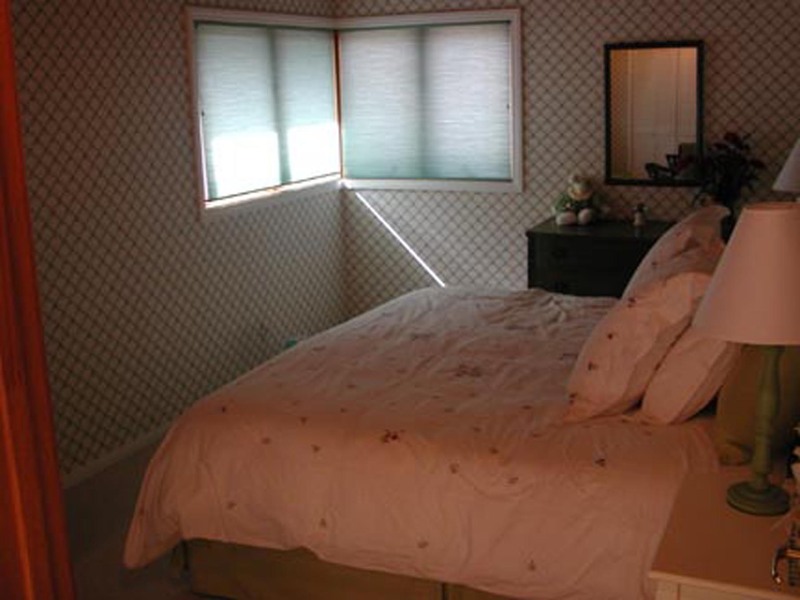 Nightly rental rates go down after your second night's stay. 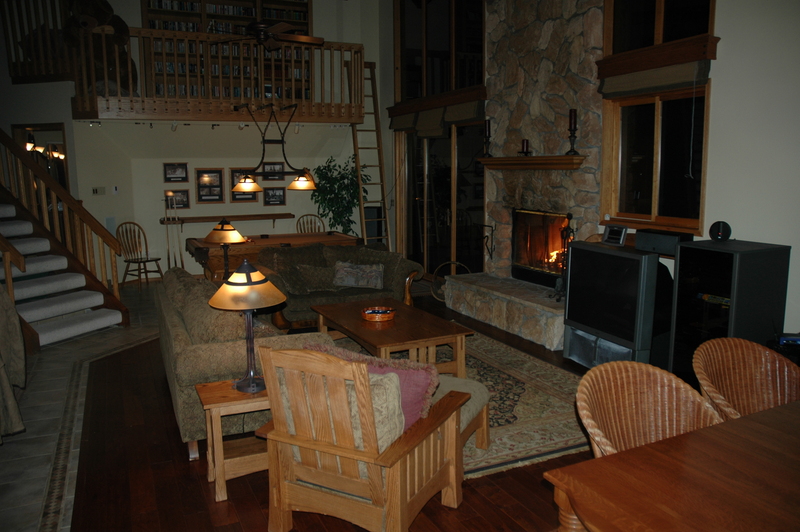 A week's prime-season stay is $3850. 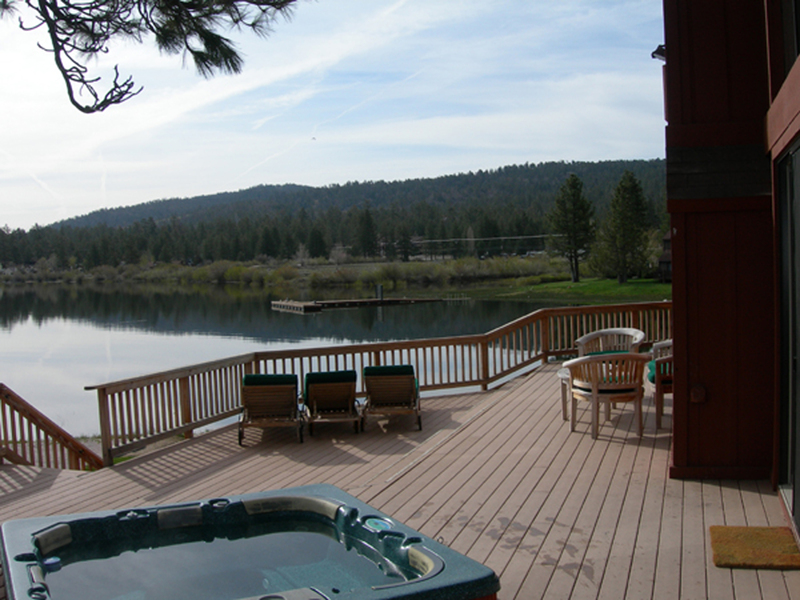 Off-season (Spring and Fall) rent is $600 per night with a two night minimum. 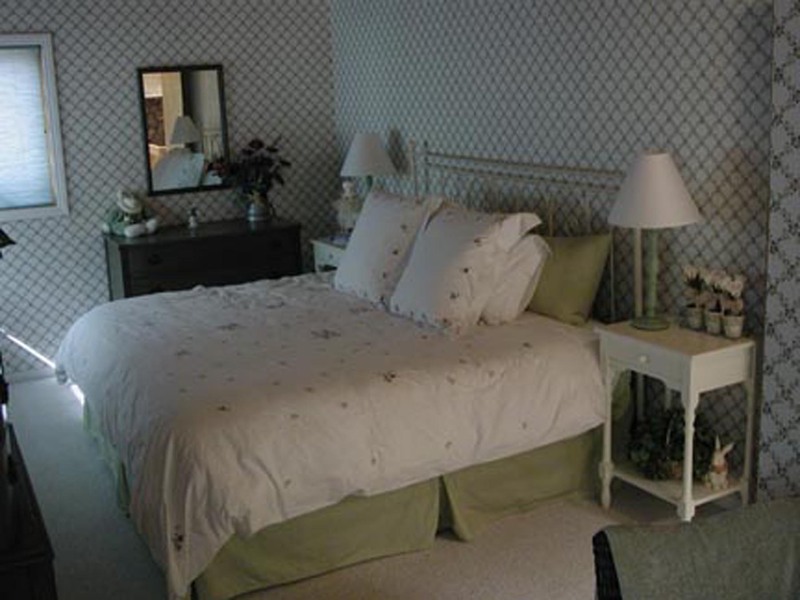 Nightly rental rates go down after your second night's stay. A week's off-season stay is $3325. Holiday periods carry higher levels of rent ($800 per night for Presidents Day/Memorial Day/Labor Day weekends and Thanksgiving, $850 per night for the Fourth of July and $900 per night over Christmas/New Years). 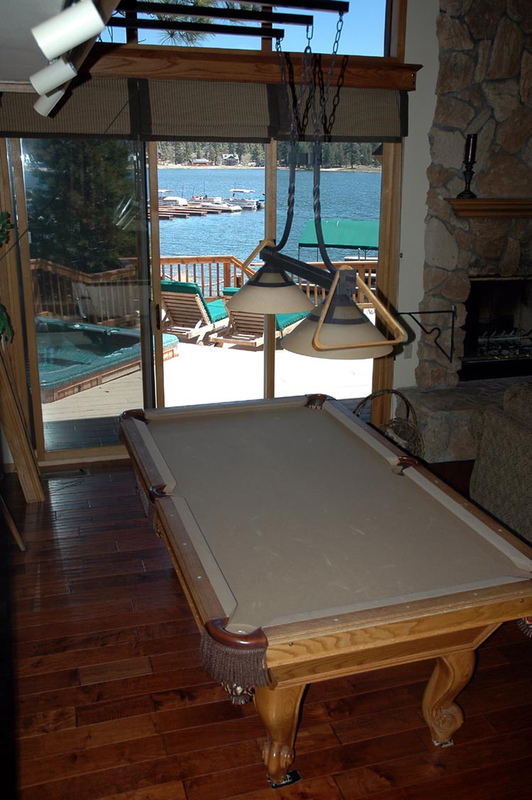 Full view of Metcalf Bay from completely equipped kitchen and living room. 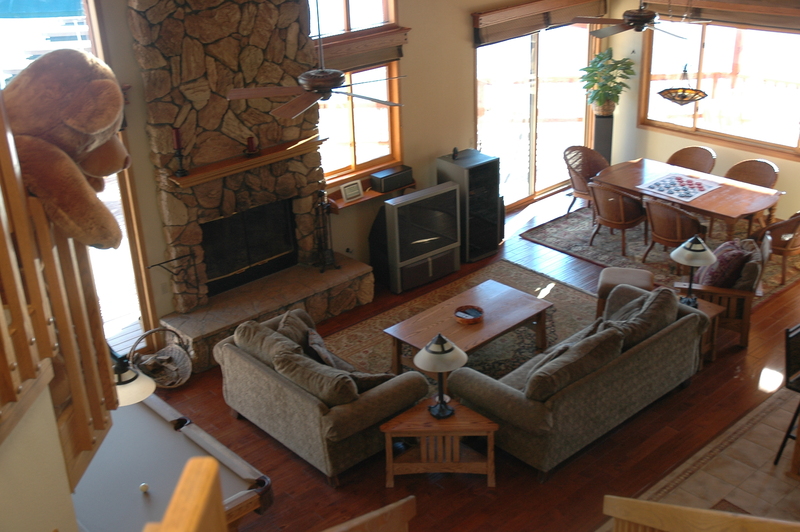 Living room has big-screen TV, cable, DVD/VCR and extends to area with pool table. Dining table seats eight (ten if the leaves are installed) and an eating bar that seats four more on barstools. 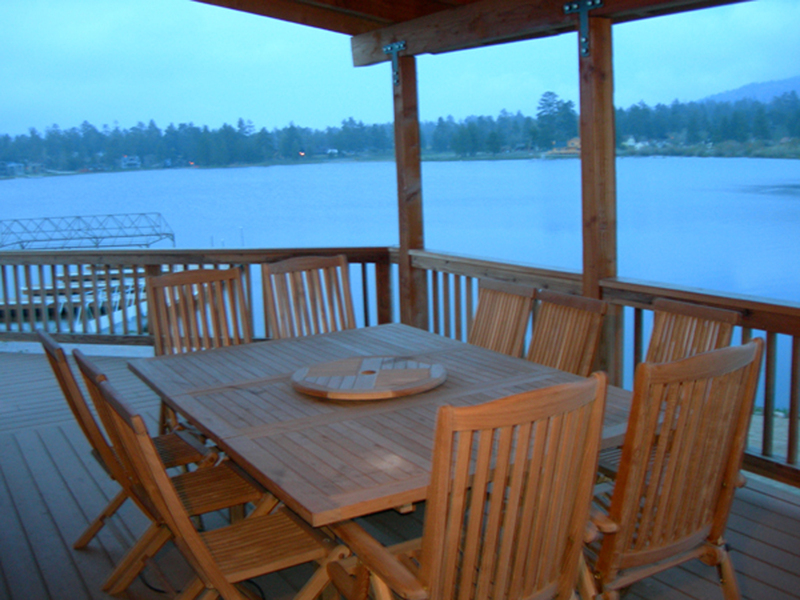 There is a large porch off the back of the house that overlooks Metcalf Bay and the mountains. At one end is a covered porch that has an outside dining table that seats ten and a propane BBQ. At the other end of the porch is a spa that is available for your use. In the summer there is outdoor furniture available as well. Backyard has grass lawn and walkway down to the lake. 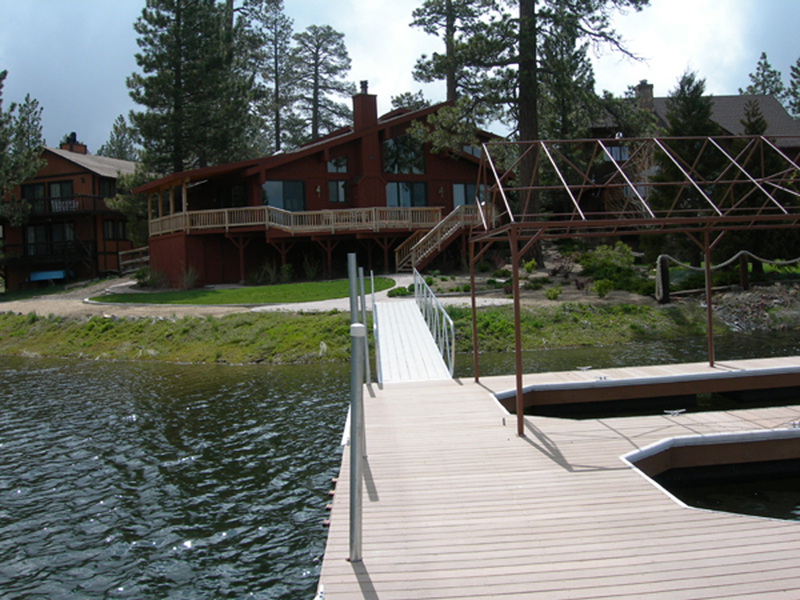 The water level of Big Bear Lake rose 14 feet during the 2004-2005 winter season and we're now able to use our large three slip dock behind our house. Moor your boat at our dock or rent a boat from Pleasure Point Marina, which is located adjacent to our home. 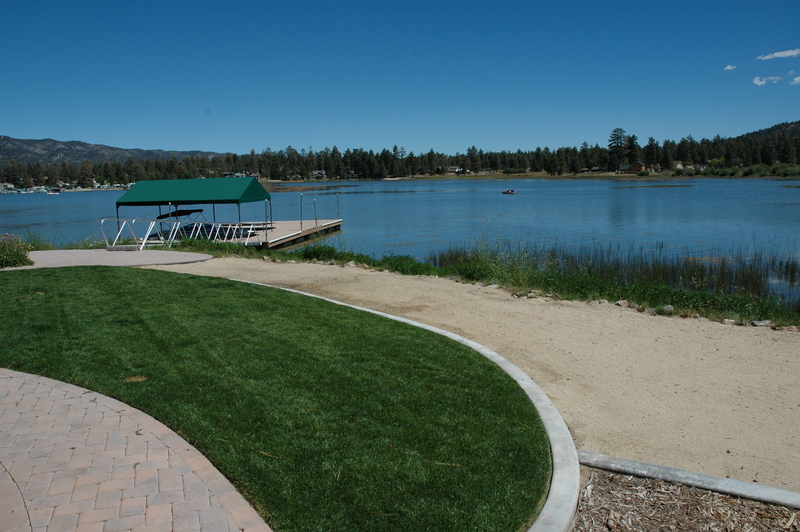 Either way, the best Big Bear Lake water activities are readily available for your use. 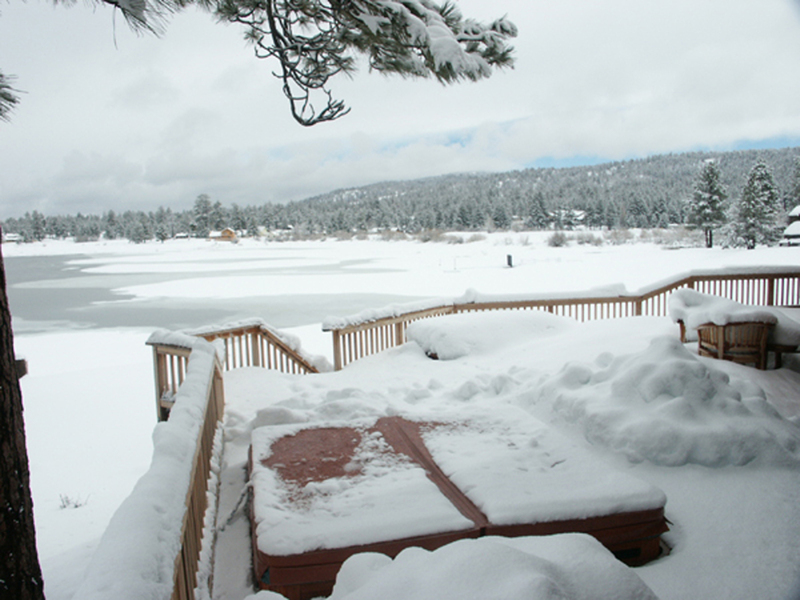 The level of Big Bear Lake rose by 17 feet during the 2005 and 2006 winters but has since fallen by 6+ feet. As of Labor Day weekend 2007 (when the lake was 6 feet down from full) we had about 6 feet of water under our dock but only had about 2 feet of depth to get around the closest dock at Pleasure Point Marina . 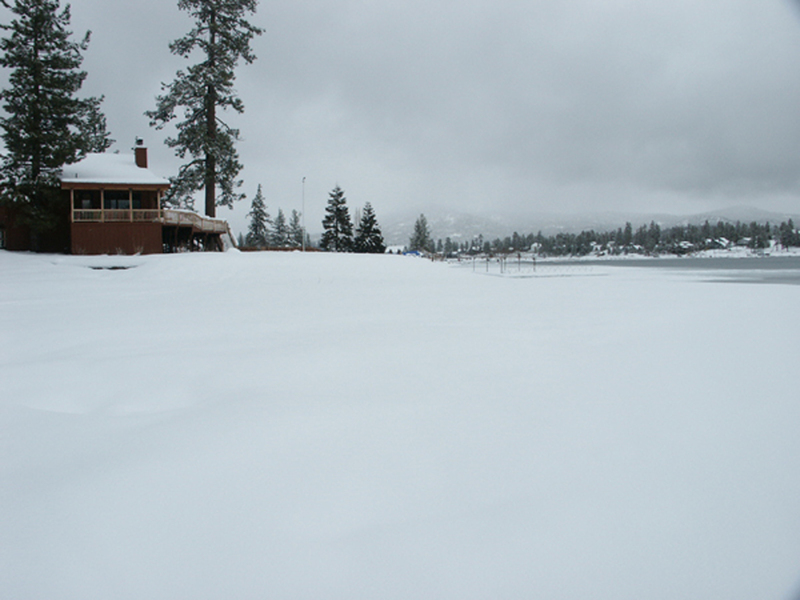 I'm hopeful that we'll get a good winter of snowfall and water run-off in the 2007-08 winter and that the level of the lake will rise and that we'll be able to use the dock in the summer of 2008. However, in the event that the water does not rise and our dock is not available next summer, I will rent a dock slip at Pleasure Point Marina and make this available for you during your stay. If this situation arises then I will rent a boat slip at Pleasure Point Marina (two doors away from my home) and you would be able to dock your boat at this slip during your stay. 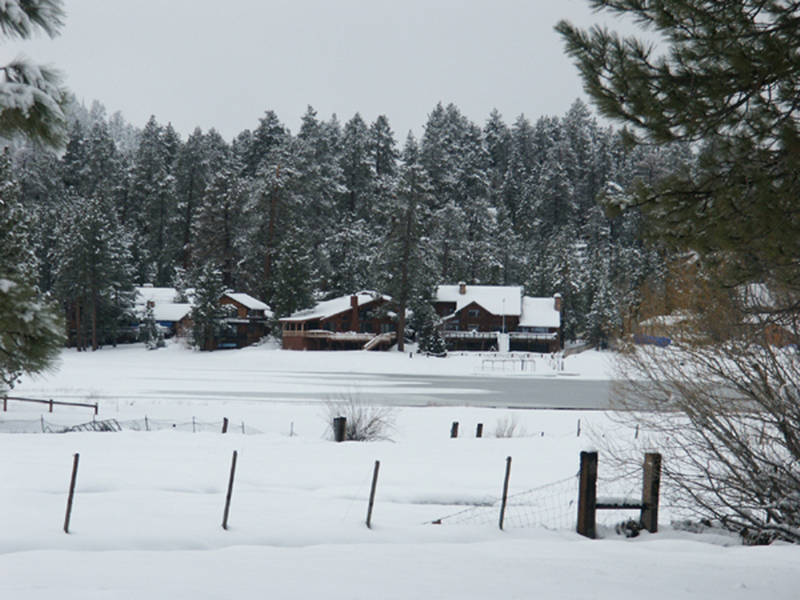 You can check on the level of Big Bear Lake at http://www.bbmwd.org/currentlevels.htm. The distance from our home to the Snow Summit ski resort is approx. 4.2 miles.